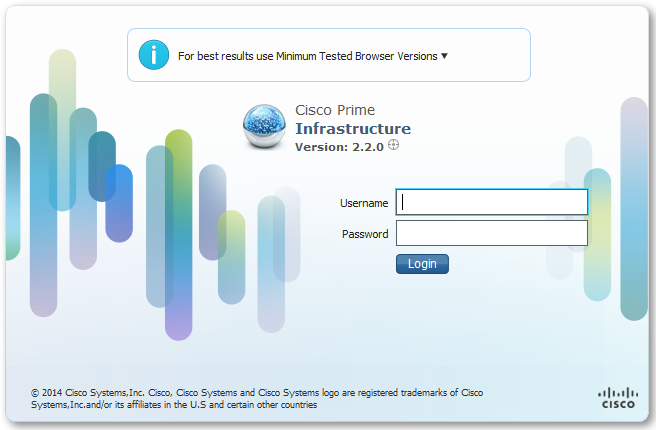 At the moment we’re running Cisco Prime Infrastructure 2.1 on a Gen1 physical appliance. 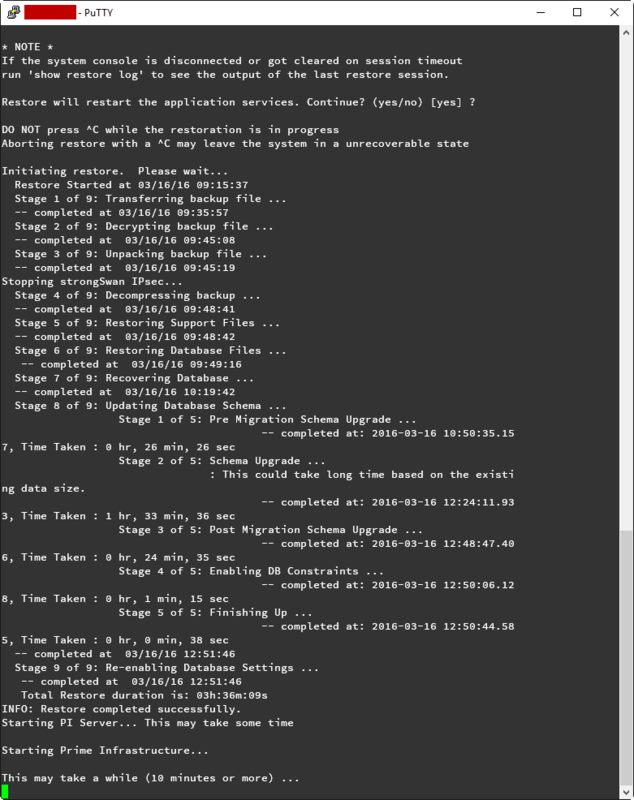 We’re looking to take the upgrade path from 2.1 all the way up to 3.1 (currently only 3.0.2 is supported on the Gen1 appliance). Back up the PI application database to an FTP repository (I recommend FileZilla Server for hosting a light-weight FTP server on your workstation). 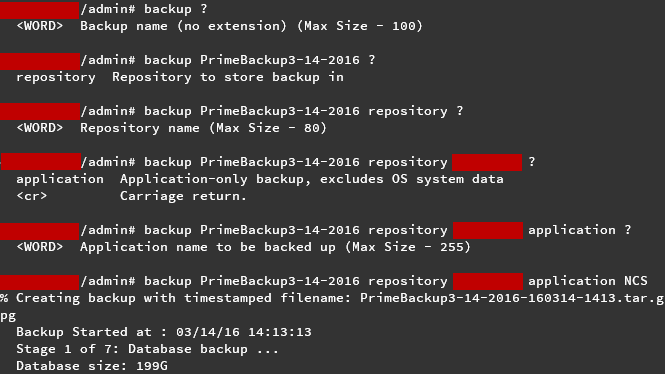 Can you please also advise how long it takes to restore appliance backup? The server and backup server (ftp server where the backup file stored) are on same location.